Water Warner is a free and small program that reminds you to drink water. Do you get so caught up in your day that you even forget to drink water? I forget to eat sometimes which is probably a good thing but forgetting to drink is another matter. While lack of food can make you hungry, lack of water can cause headaches, cramps, problems in the bathroom, fatigue, bad skin, cancer of the colon, flatulence, slower thinking, reduced efficiency, bladder problems, reduced immune system capacity, reduced energy levels, increased heart attack risks, increased susceptibility to colds and flu, increased weight and much more! Water Warner is here to remind you to drink water. 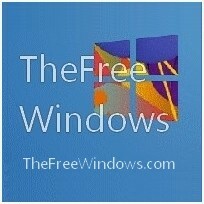 It’s free and installs in seconds. All you need to do is set the times you work, the amount of times you would like Water Warner to trickle during that period and it does the rest. Some people like to do the standard 8 glasses of water a day but it would depend on the hours you work, how big you are or how much you exercise, and what other drinks you have during the day. * Check also this list with the best free personal health and diet applications.